TODAY IS THE LAST DAY TO GET THE OCTOBER SPECIALS! Don't miss out on your chance to get FREE stamps! Stampin' Up! 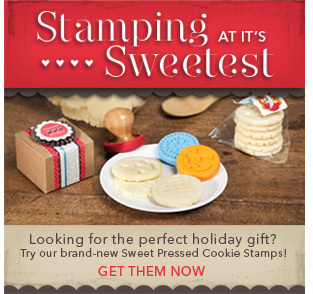 has some great new cookie stamps that are a must have for your holidays! ORDER YOUR COOKIE STAMPS HERE! Need a Big Shot?? This FREE BIG SHOT DEAL is to "die" for. Don't let this opportunity slip away! BECOME PART OF MY STAMPIN' UP! TEAM AND ENJOY A FREE BIG SHOT (OR $100 IN FREE PRODUCT) HERE! TIME IS RUNNING OUT FOR YOU TO GET YOUR FREE BIG SHOT! Stampin' Up's! Offer to "Die" For is running out! 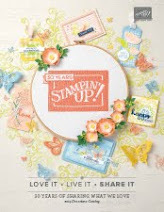 Ceck out this video where Shelli Gardner, Stampin' Up! 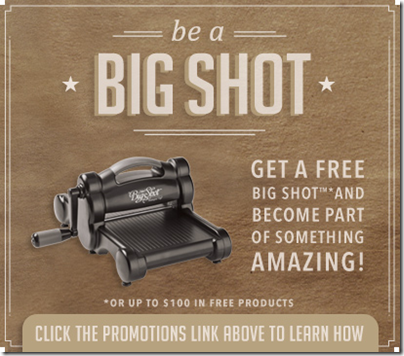 cofounder and CEO, discusses October's special offer for new demonstrators: a FREE Big Shot or up to $100 USD in FREE Stampin Up! products. 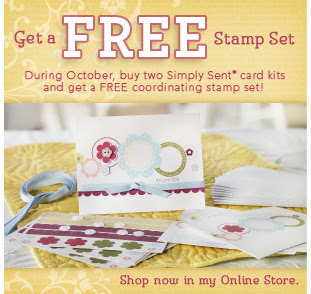 VISIT MY WEBSITE HERE FOR ALL THE DETAILS AND TO JOIN MY STAMPIN' UP! DOWNLINE TODAY! As soon as "That Michelle" saw the Halloween High Heel I made (inspired by the one in our demonstrator monthly publication), she knew she wanted to make one with Red Glimmer Paper~~a ruby slipper, what a great idea!! Here is what we came up with! This is a front view of the shoe with a bag of candy kisses inside. We used the Northern Frost Sizzlits Decorative Strip Die for the Big Shot to make the snowflake on the front and put a Red Glimmer Brad in the center of the snowflake. It really dresses it up! This photo is also of the front, but the shoe is empty. As you can see, we lined the shoe with some Silver Glimmer Paper! This is so sparkly in real life! Here is the side view of the Glam High Heel. I wish I could find a pair of these in my size to show off over the holidays!! The Red and Silver Glimmer Papers are available in the Stampin' Up! Holiday Mini Catalog. 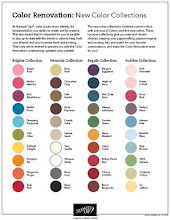 CLICK HERE TO ORDER YOUR GLIMMER PAPER NOW! Digital Scrapbooking Day is November 5th, 2011. Stampin' Up! loves to celebrate, and they are going above and beyond for Digital Scrapbooking Day. Stampin' Up! will be celebrating Digital Scrapbooking Day with a four-day online event you won't want to miss! Digital Scrapbooking Day is November 5, but Stampin' Up! will keep the celebration going from November 4-7! The celebration will include free downloads, blog posts with exciting project ideas all weekend long, and the announcement of the 2011 My Digital Studio Contest winners. Be sure to mark your calendars and come celebrate with Stampin' Up! and me! BIG, HUGE THANK YOU!! Thank you so much to all of you who participated in the Brookwood Make A Difference Day Flea Market. I enjoyed visiting with you as you shopped for all the great bargains. We successfully raised $17,238; all of which will be divided amongst the five charities we chose to support this year. Thank you for helping us out this year; we appreciate all of our shoppers, and we wouldn't be able to do this without you! Here is a great Halloween card made with the Haunted Forest stamp set available now in the Stampin' Up! Holiday Mini Catalog. I used a little different technique to make this card. The Top Note Big Shot Die (where my image is stamped) opens up, and you can write your message inside the Top Note! CLICK HERE TO ORDER YOUR HAUNTED FOREST STAMP SET NOW! This is a Halloween Sucker Treat I donated to the Brookwood Make A Difference Day Flea Market! Make A Difference Day is Saturday, October 22nd, 2011. Those of us in the Brookwood Subdivision observe Make A Difference Day each year by hostessing a HUGE FLEA MARKET! Last year we raised over $14,000 for some great charities (Baldwin Soup Kitchen; Juvenile Diabetes Research Foundation International; Paint a Miracle and The Women's Fund of the Community Foundation of Rochester). The flea market is held in the clubhouse at the front of the subdivision from 9:00 a.m. until 4:00 p.m. In addition to the flea market items you can find hot coffee, and cocoa, fresh muffins and donuts for sale; a raffle and a bake sale. Please stop by to get some great deals and to help us raise money for these worthy charities. CHECK OUT THE BROOKWOOD MAKE A DIFFERENCE DAY FLEA MARKET WEBSITE HERE! I love this little box that looks like a bat for Halloween! To make this box I used the Bigz Mini Milk Carton Die for the Big Shot. ORDER YOUR MINI MILK CARTON BIGZ DIE HERE! Isn't this just an adorable little Halloween Treat Box? I used the Stampin' Up! Double Punch to make this great little Halloween Treat Box, along with some Frightful Sight Designer Series Paper, and, of course, some chocolate! CLICK HERE TO ORDER YOUR PETAL CARD DOUBLE PUNCH TODAY! Stampin' Up! is offering this Christmas Keepsake Box while supplies last! Do you want to capture the spirit of Christmas in a box? Well, that's just what you can do with the exclusive Christmas Keepsake Box kit from Stampin’ Up! The completed box is perfect packaging for a gift that will never be forgotten, and the kit itself can be the perfect gift for your favorite crafter! The kit comes with almost everything you need precut for just $19.95, and includes instructions to help you make it. •Orders can be placed as demonstrator, customer, workshop, or online orders. •There is no minimum purchase required, and you may order as many items as you wish with this special offer. CLICK HERE TO ORDER YOUR CHRISTMAS KEEPSAKE BOX WHILE SUPPLIES LAST! Hello, where does the time go? It has been sunny and beautiful here in Michigan, and I have been super busy with workshops, classes, etc... I admit, I have been making lots of samples for the upcoming holidays and getting a little caught up in cleaning, fall gardening... Then, all of the sudden the day has disappeared and I haven't yet posted to my blog. In an attempt to make up for it, I am giving you a few posts today to try and catch up. Isn't this high heel just adorable~~and it's filled with chocolate too. Seriously, what could be better than a black shoe and chocolate?? Every month Stampin' Up! demonstrators get a magazine called Stampin' Success, and it is jammed full of creative ideas. This shoe was in the October Stampin' Success, and as soon as I saw it, I knew I had to make one. SO, here is my version. What woman doesn't love a new heal?? I LOVE MY STAMPIN' UP! PUNCHES! In the Stampin' Up! Holiday Mini you can find these awesome little 1" x 8" Cellophane Bags. They are only $2.50 for 50 of them~~such a wonderful deal. AND they make the cutest little treat holders for any holiday/season. For this little "Goody" I used the Stampin' Up! Owl Builder Punch to make my Ghost and the hat from the Wicked Cool stamp set. I filled my little bags with Gobstoppers for all the Ghouls out on Halloween! CLICK HERE AND PLACE YOUR ORDER TODAY TO MAKE THIS GREAT LITTLE HALLOWEEN TREAT! Well, "That Michelle" has spoiled me once again!! Check out this great Lolly Bag! At our last demonstrator get together Linda shared this idea, and I just loved it! Imagine my surprise when "That Michelle" gave me one! I am so totally spoiled by Stampin' Up! Demonstrators! This makes a great Halloween Treat that I know my neighbors are going to love. Thanks so much, Linda and "That Michelle" for spoiling me! Stampin' Up! Demonstrators around the world are combining their efforts today and trying to reach their goal of scheduling 10,000 workshops. Please join us in our efforts and contact me today to book a workshop!! Tomorrow, Tuesday, October 11th, 2011 is the Stampin' Up! Worldwide Workshop Book-A-Thon! 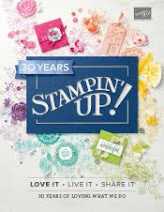 Please join me tomorrow in helping Stampin' Up! reach their goal of booking 10,000 workshops to take place during the Worldwide Week of Workshops (November 1st through the 8th). What does that mean? Well, I'm glad you asked! For Stampin' Up! Demonstrators, it means FREE GOODIES when we book workshops and lots of fun when we hold workshops during the Worldwide Week of Workshops. For hostesses, it means lots of FREE HOSTESS GOODIES when you have your workshop and lots of time spent having fun stamping with your friends at your workshop. Plus, when you schedule a workshop with me tomorrow during Worldwide Workshop Book-A-Thon and hold your workshop during the Worldwide Week of Workshops (November 1st through the 8th), I will give you a FREE GIFT! I have several dates available during November 1st through the 8th, so please contact me to book your workshop, help SU! reach their goal, and enjoy a great time with your family and friends. I think this is a very festive holiday card! AND we'll be making it in the Rubber Room at the next Holiday Stamp-A-Stack on October 27th. The Stampin' Up! Holiday Mini is busting at the seams with great products, and I've used the Stocking Builder Punch for the stocking on this card, along with some Frostwood Lodge Designer Series Paper, also available in the Holiday Mini Catalog. I used the Perfect Pennants Bigs XL Die to make the fancy circle I mounted my stocking onto. These two items pair perfectly together for this festive card. CLICK HERE TO ORDER YOUR STOCKING BUILDING PUNCH TODAY! If you want to make this card, RSVP to join my Holiday Stamp-A-Stack on October 27th. You can see all the details for the class by visiting my "Class Schedule" at the top of my blog. Isn't this the coolest Witch's Boot? Several Stampin' Up! Demonstrators have been sharing their patterns and ideas for this boot, so I knew I had to give it a try! I made this one and then decided I needed to turn it into a little elf's boot. Check out my post below to see how easy it is to make this cute little treat box! Stampin' Up! has added lots more items to the Clearance Rack, including some holiday goodies. Be sure to check it out and scoop up some great savings! 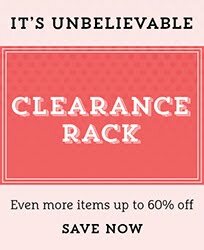 SEE THE CLEARANCE RACK HERE! Stampin' Up! has outdone themselves once again~~this is such an awesome company to work for! During the month of October they are giving away FREE STAMPS, FREE BIG SHOTS AND THEY ARE INTRODUCING A NEW LINE!!! Check out all the details below and become a demonstrator or start shopping!